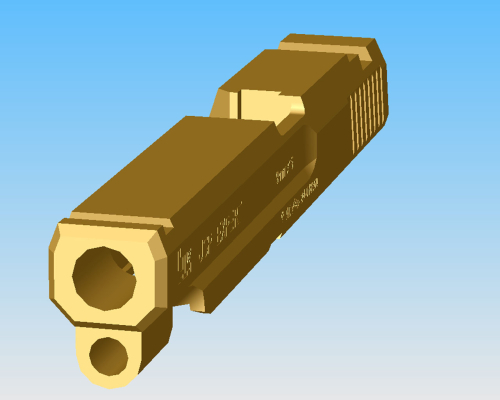 Only the internal part with the firing pin is still missing and some sharp edges would look more realistic with a small radius bevel. 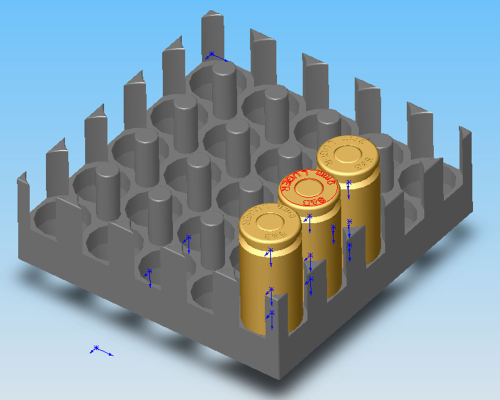 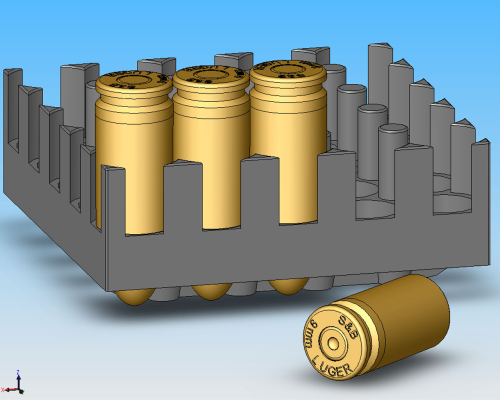 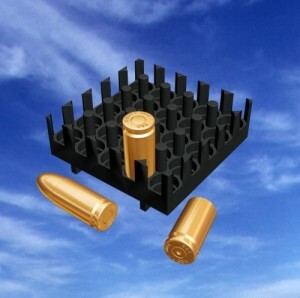 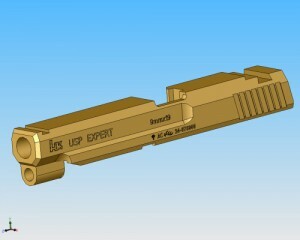 A tray with 9mm ammunition was made as a first practice during evaluation of the software package, before I started working on the slide of the gun. Since then, I have abandoned crappy commercial operating systems and with that I am no longer using Solid Works. 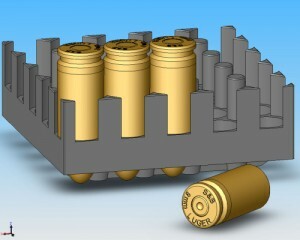 When free time allows, I will try to export the CAD files to programs like Bender and continue this project.